The sign outside Quanergy's headquarters in Sunnyvale, Calif.
Way back in 2014, when Waymo was still Google’s secretive car project and Detroit looked poised to be upset by Apple’s even more secretive autonomous program, I visited a drab Sunnyvale, Calif., garage to meet an Lebanese inventor who wanted to pitch me on a small, black box full of light. OK, it was a small, black cylinder. 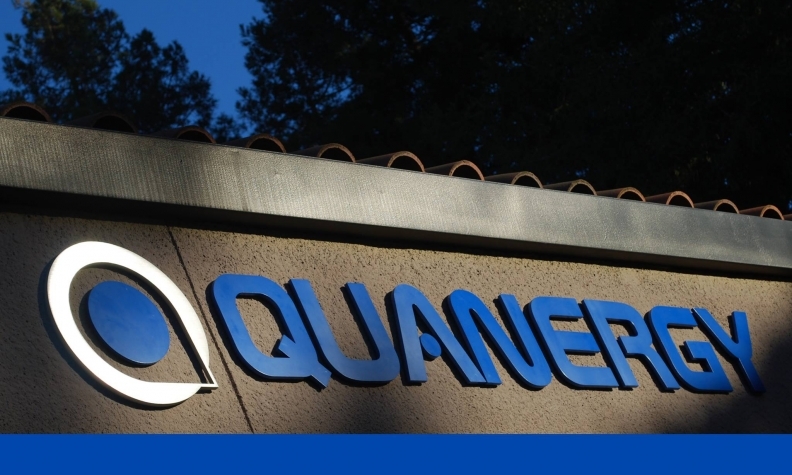 The company, Quanergy, a portmanteau of “quantitative” and “energy,” was designing a lidar system that uses laser-based radar to map its surroundings. The technology is key to advancing self-driving cars that need a reliable model of the environment when cameras and sensors are obscured. This seems almost quaint now. Three years later and self-driving hardware is at the center of an industry arms race. On Monday, Intel announced its intention to acquire Mobileye N.V. for a cool $14.7 billion. Lidar specifically is at the heart of the Waymo-Uber lawsuit over intellectual property. And Eldada is making his own moves. Back when we spoke, Quanergy had a budding partnership with Mercedes-Benz and was in talks with other carmakers. Now, the San Francisco Chronicle reports that the company is actively engaged with Renault-Nissan and Hyundai and has investments from Delphi Automotive and, of course, Mercedes. The eye-popping number in the Chronicle story, however, isn’t Quanergy’s $1.59 billion valuation -- it’s the $250 lidar system that Quanergy says it’s set to start manufacturing this year in Massachusetts. Previous systems have run in the tens of thousands of dollars, and bringing down the cost so greatly could be a game changer in making autonomous technology affordable for regular people.